In the last few years, the fashion industry has become an influential force in driving social and political change through its corporate social responsibility (CSR) initiatives. The fashion industry, in the last few years, has become a vocal proponent of sustainability and that ideal has transitioned into a high priority mission, one that seeks to develop various socio-political initiatives. From the environment to human rights, animal welfare, anti-sweatshop measures, child exploitation, female empowerment and social justice to name a few, many fashion brands are taking their corporate social responsibility (CSR) message to the frontlines. CSR strategy is becoming a mainstream operation that is positioned at the crux of businesses, to invest in social and environmental efforts. These are polices, practices and projects that are expected to be implemented with honesty and transparency by companies with an aim to give back to society. In terms of CSR, It seems that political beliefs are finding a newfound home in the fashion industry. Shoe brand EYTYS has donated proceeds from its sales in support of refugee charities in partnership with UNHCR. Vivienne Westwood made a bold declaration with her ‘I AM NOT A TERRORIST’ statement tees in the wake of proposed anti-terror legislation, and Dior demonstrated its support for women’s rights by creating its now famous “WE SHOULD ALL BE FEMINISTS’ shirts in its collection. Fashion is no longer sitting on the fence. So who or what is responsible for this recent shift in CSR becoming a focal point for the fashion industry? ‘Stakeholders, particularly consumers, have played a major role in encouraging CSR activities in fashion companies. Research has shown that positive social activities by companies are a direct result of the demands of consumers and employees. So – how are brands impacting change through CSR? Some of its initiatives include partnerships with UNICEF to empower young girls, promoting access to economic resources, providing medical, physical and emotional support to refugees through Médecins Du Monde and WAHA International, promoting women in the arts, and educating and training communities in poverty stricken global regions. In their foundation page, the Chanel report states that so far, it has supported 22,000 women, 21 projects in 16 countries, and states that 148 0f its employees were involved in their CSR projects. It seems that Chanel is setting a precedent for other fashion brands in their CSR model. 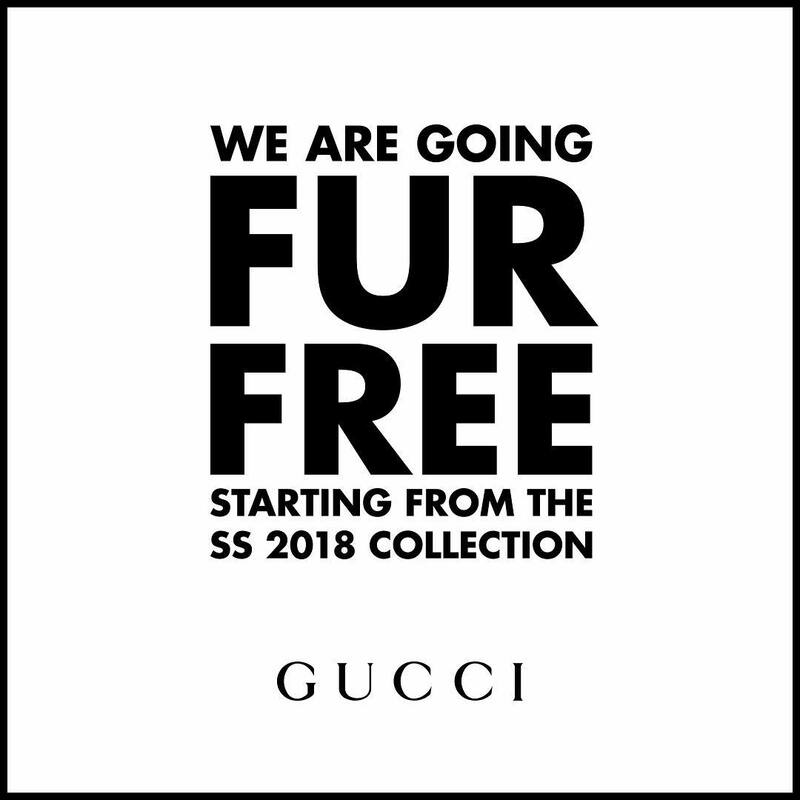 Recently, it was announced in October 2017, that Gucci has decided to go fur-free starting from 2018. This environmentally conscious move has been met with praise. Prada and Swarovski are using their influence to help combat one of the most disturbing epidemics in modern history: human trafficking and slavery. The statistics are frightening. According to anti-trafficking organization DoSomething.Org, there are currently 20-30 million slaves in the world today. The human trafficking criminal enterprise generates a revenue of 32 billion dollars annually, 80% of trafficking involves sexual exploitation and 19% involves labor exploitation. It is also estimated that 80% of trafficking victims are women and nearly half are children. In the current volatile political climate of division and discord, the fashion industry has become a de facto leader in becoming a voice of unity and philanthropy. It has created within its borders a powerful platform that is seeking to engage with its stakeholder community, to shape global progress and responsible ethical practices, by addressing some of the most challenging political and economic issues of our time. Fashion and CSR is an arena that is currently making a difference socially on a smaller scale. As more fashion insiders and brands join the movement to save our planet and its inhabitants, it will be interesting to see how these companies generate new ideas for their CSR initiatives in the future. This entry was posted in Lifestyle and tagged chanel, CSR, gucci, Prada, Swarvoski. Bookmark the permalink.